Photography Props! Bulk discount given to photographers and theater groups. Please send e-mail inquiry for pricing. 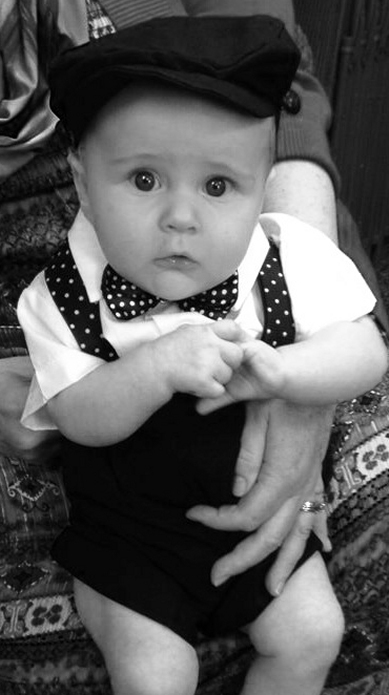 This exclusive suspenders and bow tie set from DapperLads works for holidays and special occasions. 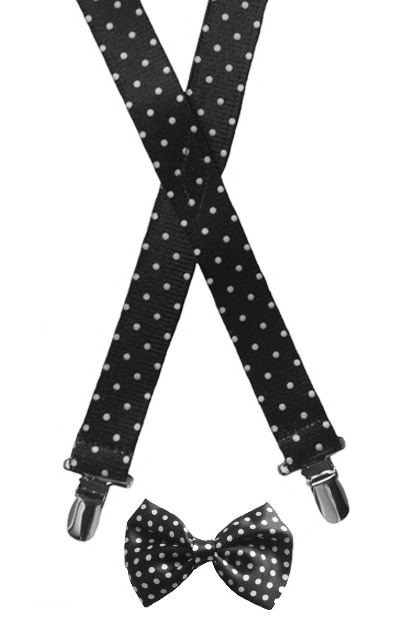 The white dots on black background polka dots add a 1950's inspired bit of fun to traditional solid color bow ties and suspenders. Both the suspenders and the bow tie are sold separately. Save $2.00 when purchasing as a set. It's like getting the bow tie for free! 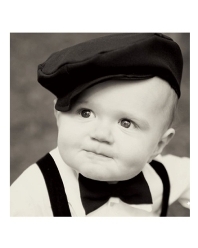 The suspenders are US made and fit ages 1 - 8 years. The bow ties are satin and 3 in long with a wrap around band. They are an import and inexpensive. As such, they are popular choices for costumes and props for pictures.